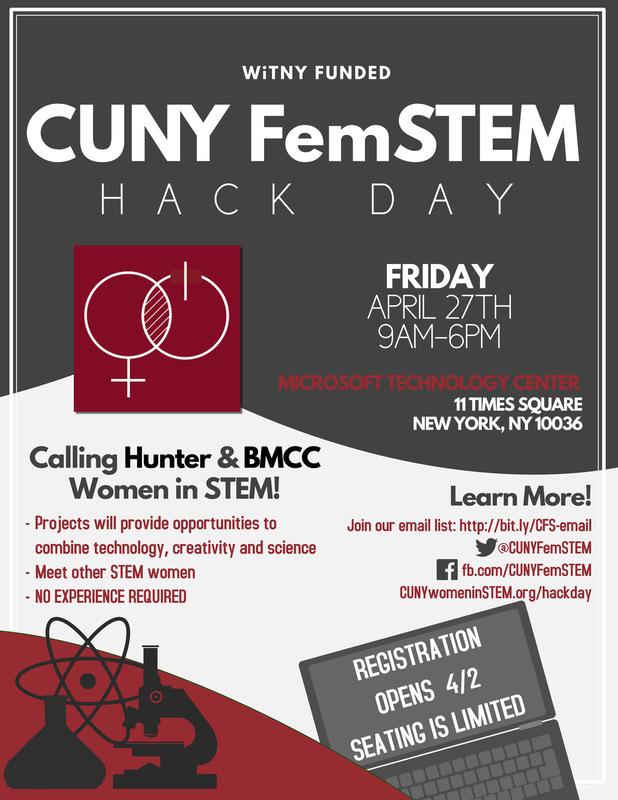 Registration for CUNY FemSTEM Hack Day is open now! 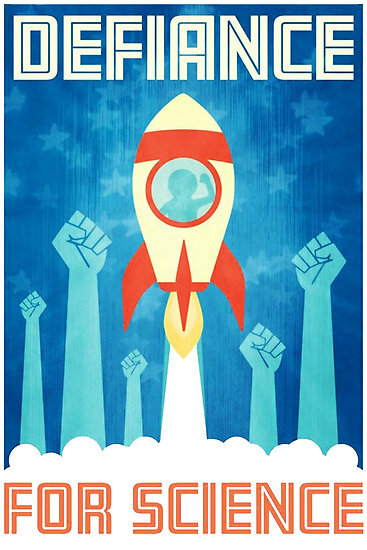 Tomorrow, CUNY marches for science! Tomorrow, 350 CUNY science advocates across 10 campuses will be marching for science! Over 30,000 people have registered for March for Science NYC, joining over 500 cities around the world to celebrate and defend publicly-funded science for the common good. At 9:30am, more than 150 of us will meet at Macaulay Honors College (35 W 67th St.) to grab snacks, coffee, and make some last-minute signs. At 10am, we will swing up to Verdi Square to meet a group of 100-150 from Queens College*. Together, we will enter the march at 71st & Columbus Ave, moving South on Central Park West to the rally stage at 62nd. You will not be able to enter the march except at 64th, 68th, & 71st**. The 64th and 68th St. entrances will be closed once Central Park West fills up at each of these streets. You will not be able to enter the march from Central Park (exit into Central Park is permitted, but not re-entry). Marchers will be lined up along Central Park West from 61st stretching north. At 11:30am, the march will begin at 61st St, heading South along the East side of Columbus Circle, and down Broadway towards 52nd St. As the march approaches 52nd street, groups will be directed so that the march disperses without causing a bottleneck for those behind them. Marchers will be encouraged to join the City’s Earth Day celebration with Car Free NYC. During the march, drop coins into plastic bottles to use as shakers. After the march, donate the coins and recycle the bottles. Please follow @CUNYWomeninSTEM on Twitter, where we will be sharing our most up-to-date info. I will look for tweets tagged #M4SNYC to retweet. Thanks to the DSC and USS for their support, and Kelly O’Donnell at Macaulay for offering to host us! * Baruch College has been instructed to meet at 60th & Central Park West and will enter the march separately. ** those with mobility issues can enter at 61st & Broadway, email jill@marchforscience.nyc to arrange accessibility accommodations. March with CUNY for Science! Kelly O’Donnell, the Director at Science Forward at Macaulay Honors College has graciously offered to host the launching pad for all CUNY folks, groups and friends who want to March for Science together. We will meet at Macaulay at 9:30am. RSVP as we would like to provide some grab-and-go snacks sponsored by the DSC and USS. Here is a map of our meeting point, likely route to enter the march, and path of the march. If you have any special needs, such as accessibility accommodations, please send an email to mfsnyc.march@gmail.com. Follow @CUNYWomeninSTEM on Twitter for updates about our CUNY group. Please mention us when you are tweeting about #M4SNYC! The above is for those who want to march with CUNY. 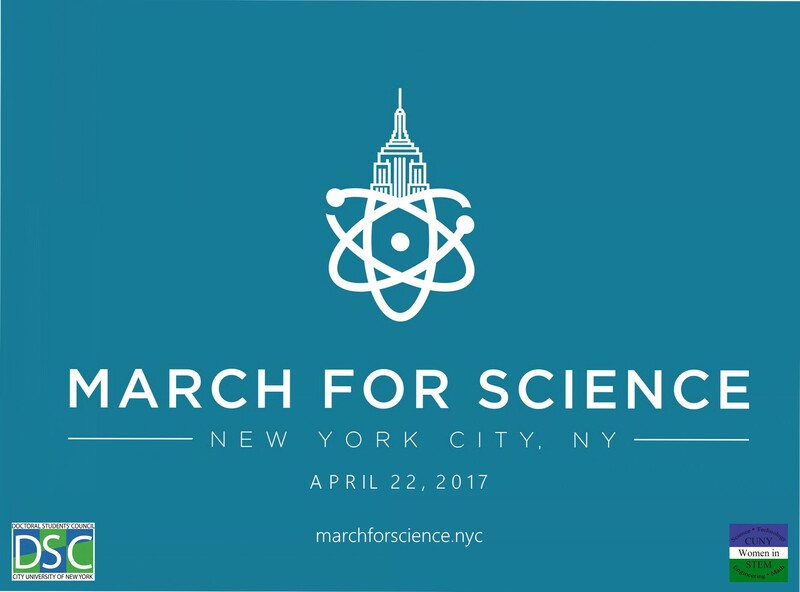 Please check the official March for Science NYC‘s communication channels for the most up-to-date march information. CUNY! 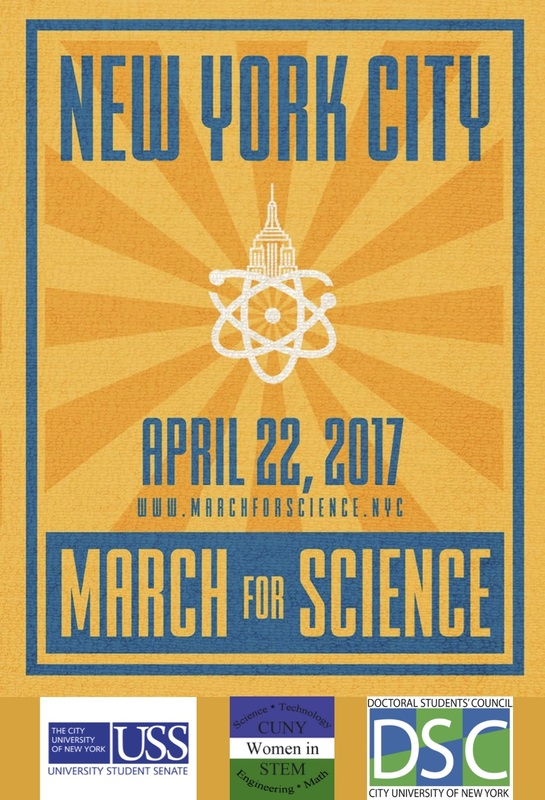 Join us at the March for Science NYC! Since the 2016 US Presidential election, scientists have become deeply concerned for the preservation and future of rigorous, transparent, publicly-funded research for an equitable, just, and sustainable society. We recognize that legislation, policies, and programs differently and disproportionately affect scientists and science beneficiaries with marginalized identities. Conscientious attention to the conduct and application of research is imperative to addressing how science — the systematic study and application of observation and experimentation to build a body of knowledge — affects all people, the natural world, and the pursuit of knowledge. CUNY Women in STEM invites all New Yorkers who are concerned about these issues and value science to the March for Science NYC on April 22nd, 2017. CUNY Women in STEM is committed to highlighting, standing in solidarity with, and acting in allyship as and with marginalized people and people with intersecting identities. We encourage individuals regardless of age, ethnicity, immigration status, religion, sexual orientation, gender identity, (dis)ability, education level, and/or socioeconomic status to join us in defending and advocating for public science for the public good. Just as the thousands of people around the world who are excited to march for science make up a diverse tapestry, New York City includes people who value, pursue and engage in the scientific endeavor. 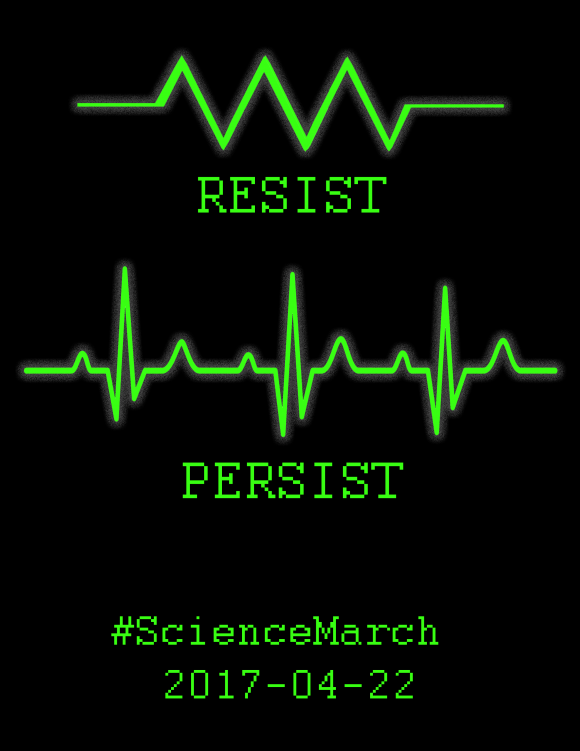 We are marching to make science accessible to everyone. We advocate for individuals of all backgrounds to pursue education and careers in science; a diverse group of scientists broadens, strengthens, and enriches scientific inquiry, and therefore, our understanding of the world. Moreover, we recognize that the application of scientific research, evidence-based policies, and public data affects all of us, but can and has disproportionately disadvantaged people who are already marginalized. The March for Science NYC is one opportunity within a cascade of mobilizations (such as the Women’s March on January 21st, and the upcoming May Day actions) for people to express their concerns and priorities to those who purport to represent us. The March for Science NYC is an open invitation for people to publicly resist a socio-political system that privileges some perspectives and marginalizes other voices. We see the March for Science as one way to apply sustained and consistent pressure on decision-makers to respond to the people. CUNY Women in STEM, supported by the Doctoral Students’ Council and the University Student Senate, invites CUNY students, especially those with intersecting identities and disciplines to join us at the March for Science NYC. Help us promote the March for Science NYC by posting stickers, or through social media channels such as Facebook, Twitter, Instagram, Tumbler, using #M4SNYC. In response to increasing anti-science rhetoric, President Trump’s denial of empirical facts, and this administration’s severe actions to undercut scientific research, CUNY Women in STEM endorses the March for Science NYC. The March for Science has inspired cities across the country, indeed around the world, to rally for scientific principles. CUNY Women in STEM is working with organizers of the NYC march to invite the scientific community and all those who benefit from science to come out on Saturday, April 22nd, 2017. The March for Science NYC is one action within a cascading tide of dissent. Each action is an opportunity for people to publicly resist a socio-political system that privileges some perspectives and marginalizes other voices. It is one tactic among many to apply sustained and consistent pressure on this administration to respond to the people. Through the March for Science NYC, CUNY Women in STEM will persist in the fight for publicly-funded science, for evidence-based policies, for the public interest. The cost of poster-printing will be reimbursed to each presenter. The Women in Science initiatives at Hunter College, Rockefeller University, The American Museum of Natural History and other NYC science institutions are hosting a Wikipedia Edit-a-thon on March 9th at 6pm in the Rockefeller University Faculty Club to increase representation of women in STEM on Wikipedia. Only between 8.5-16% of Wikipedia editors are women. That gender gap translates to a paltry showing of women in STEM, compared to their male counterparts. So why not get together over pizza and beer and bridge that gap together? Women in science groups from around the city are invited to Rockefeller to meet up and celebrate the women that have inspired us. Wikipedia has generously supplied us with a Wikipedian to guide us through the editing process, and are providing childcare to anyone requiring it! If you want to join, be sure to register here, and if you require childcare, email Maryam at mzaringhal@rockefeller.edu. A custom eBook search engine created by ManWithoutModem on Reddit*. To convert eBooks to other formats, Calibre is free and fairly easy to use. * Info for this post was collected from colleagues and this Reddit thread. A number of events and opportunities for STEM Career Development are approaching! CUNY BIOTECH is a cross-campus alliance of CUNY graduate students who are interested in the application of life science research for the development of innovative health solutions. Please contact them at cunybiotech@gmail.com if you would like more information about their events, to receive alerts of upcoming events, and/or to get involved. CUNY BIOTECH is a founding member of GRO-Biotech (Graduate Research Organizations for Biotech of NYC). Many PhD students in STEM fields are passionate about science communication and consider pursuing a career in science education, science writing, medical writing, or medical science liaison. NYCSciComm aims to guide students to navigate career options in science communication, build strong and supportive professional network among peers, and bring accessible and digestible scientific concepts to the public. As a member, you will have access to professional development opportunities, educational resources, upcoming educational and networking events at a discount, newly posted blogs, volunteering opportunities with us to build your resume, and announcements about job openings in science communication and beyond. Become a member today. And join their LinkedIn group and follow them (@nycscicomm) on Twitter. A strong resume is one of the most important documents submitted for a non-faculty position. You may have an old one that now needs updating or this may be the first time you need to create one. Join this webinar to learn about the latest trends in resumes, how to manage potential pitfalls, and how to turn your CV into a resume. As the nation’s largest employer, the government offers plenty of rewarding career opportunities for MAs and PhDs from all disciplines. Many of these jobs are at the state and local level. In this panel, GC alum will discuss their own careers in local and state government, and how others might join them. Please register to attend here. In the United States today, the supply of PhDs in STEM fields exceeds academia’s demand for these scientists. According to the National Science Foundation, less than 15% of students who graduate with a PhD in a STEM field will find a tenured-track faculty position within six years of graduating. Fortunately, PhDs can find many rewarding careers outside of academia by understanding the value of peer mentoring and networking strategically. In this seminar, Dr. Fortis Santiago will give describe strategies and advice to cultivate personal and professional networks. Participants will assess their current network in order to reach full potential. You’ve received the call to schedule an interview. Now what? Mastering this next step and securing the job takes some preparation, time, and thought. Join this webinar to learn how you can best prepare for job interviews and how to do your best to make a strong impression. Careers in media and communications are numerous and diverse, and many offer humanities and social sciences PhDs and MAs excellent opportunities to put their research and communication skills and training to work. Career paths can lead to a job as researcher in a communications think tank, a managing editor in the communications department of a museum of art, a writer and producer for a television show or broadcast journalism. But the very diversity of possible paths, and the particular qualifications and requirements specific to different fields of employment, can make finding an opening into a career in media and communications a challenge. Attend this panel to get a sense of the lay of the land, and start to get your bearings. As you prepare to conduct a job search for a non-academic position, you may wonder how to go about this process in today’s job market. Which strategies are worth your time? Where should you focus your attention? Join this workshop to learn more about the latest job search trends and tips to maximize your potential for success. Networking is one of the most important parts of career management. It’s essential to be able to communicate your own value and build your network throughout your professional career. In this session, we’ll discuss what networking means today, the most successful forms of networking, using LinkedIn, and ways to keep in touch with your connections. Are you on the academic job market this fall? Plan to participate in this webinar, in which we’ll talk about both preliminary (phone, Skype, and conference) interviews and campus visits. Learn what to expect and how you can put your best foot forward as a candidate. We’ll also discuss what to expect if you receive an offer, and how you might negotiate it. Experts believe our greatest potential for success comes from understanding our own unique talents, using them every day, and ultimately building them into real strengths. Assess your top five key strengths through the Clifton StrengthsFinder, and learn how to enhance these strengths and apply them to professional and career goals. This 35 hours certificate program introduces the key competencies that are valued by hiring organizations for entry-level positions, and essential for career success. The Certificate in Clinical Research Management is designed to provide extensive training in the niche domain of clinical research and clinical data management. Join Science Alliance for “Grantsmanship for Graduate Students and Postdocs” to learn the skills for concise and persuasive writing that is not only vital in academia, but essential for any career path. Take the online course Scientists Teaching Science and learn about active vs. passive learning, creating course objectives and test items, and finding ways to improve your teaching and assessment techniques for students of all ages. As we start the yearlong celebrate of our 200th anniversary, we invite you to join us for our second annual Women in Science Wikipedia Editathon. At this event you can learn how to edit Wikipedia articles and also participate in our effort to add and improve Wikipedia entries on female scientists and their many accomplishments. The Genome Integrity Discussion Group provides a forum for interactions between basic and clinical research groups working on chromosome biology and function, and at the interface between chromosome integrity and onset and progression of malignancy. Mental illness causes debilitating consequences on quality of life for individuals, families, and society. This symposium explores avenues for translating these discoveries about the neurobiology of a spectrum of mental illnesses into new treatments. Chemical Biology is changing the face of drug discovery. This symposium will highlight recent developments in the field, featuring examples from neurobiology and cancer, the ubiquitin proteasome system, GPCRs, and protein lipidation. The microbiome is emerging as an important regulator of health, and disease well beyond the digestive tract. This symposium will highlight recent research innovations and therapeutic applications from the microbiome with a focus on metabolic disease. Explore approaches for complex drug development and regulation, outstanding challenges in the assessment of complex drug equivalence, consequences for product interchangeability, and compare biological and non-biological complex drug families. This conference will explore novel target and validation strategies, translational approaches to assess predictive and response biomarkers, resistance mechanisms, and combination strategies for targeting epigenetic susceptibilities in cancer. This symposium will evaluate emerging research investigating the benefits of achieving mucosal healing in the treatment of intestinal disorders. To explore the interplay between aging, nutrition, and metabolism, as well as the important role that novel technologies will play in current and future studies, we are bringing together several preeminent researchers in these fields. This symposium will highlight basic research and clinical science elucidating the mechanisms underlying vascular contributions to cognitive impairment and dementia (VCID). To better assist you in your career development, I am launching ‘Office Hours’ when you can reserve time with me to go over your career interests, review your C.V./Resume and develop a personal development plan. If you are interested, please contact me for further information and to schedule a date and time. (Be sure to include the words “Office Hours” in the subject line of your email). ***If you do not wish to receive news and information from the CUNY Postdoctoral Development Office, please let me know and I will take you off the list. Thanks.